Our cider is made with Michigan apples that are delivered to the mill in large wooden boxes that hold 18 bushels of apples at a time. These boxes are unloaded from the trucks with our old and reliable John Deere tractor. 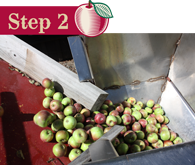 The apples are then loaded into a hopper where they are sorted, preliminarily washed, and then moved onto a conveyer where they are delivered to the Press Room. Now, we are getting to the good stuff! 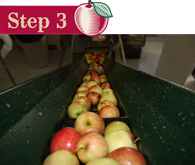 In the Press Room, apples are washed again and then moved up a conveyor where they are rinsed before being loaded into our hammer mill. 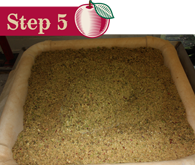 The hammer mill chops and crushes the apples into what is known as apple pulp. The press boards are an important part of our cider making process and are used as the base for that all-important apple pulp. In this photo, they are prepped and ready for the sweet apple pulp to arrive. 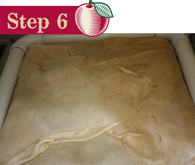 From that point, the apple pulp is pumped onto our pressing clothes, which are made specifically for use with pressing apples. Our press room staff loves this part of the job because they have the pleasure of smelling those sweet apples as the cider is being made. You can just imagine how sweet that cider is going to taste! 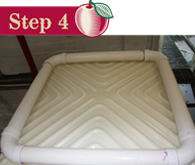 Next, the clothes are folded tightly so no apple pulp seeps out during the hydraulic activation. Our Pressing Room staff begins layering the apple pulp onto our press clothes and alternates with press boards in between. This alternating process of press clothes, apple pulp and press boards is stacked 12 boards and clothes high. Now, we’re ready for action! Our hydraulic press is then activated. 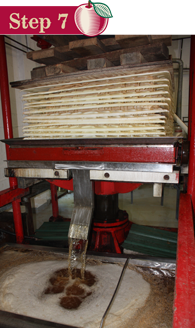 The pressure of the hydraulic press squeezes the juice from the apple pulp, starting from the bottom up. 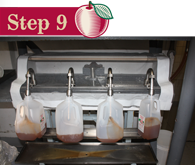 The press continues to provide pressure to the clothes and boards to ensure all of the juice is extracted from the apples. This process takes approximately 30 minutes to be complete. 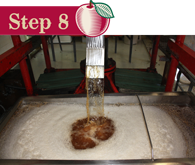 From here, the apple cider is filtered and sent to a refrigerated bottling tank where it remains until it reaches the desired temperature for consumption. Next, the refrigerated apple cider is bottled, capped, and labeled. It is then sent straight to the front of the store for storage in our refrigerated coolers where our customers are waiting. 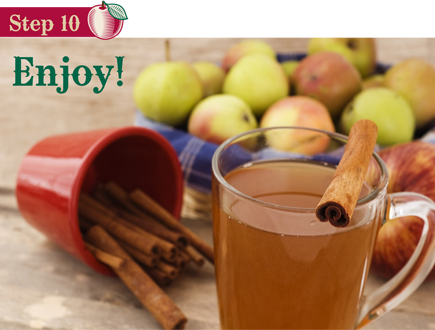 Taste for yourself what our customers rave about- Parshallville Apple Cider is amazing! 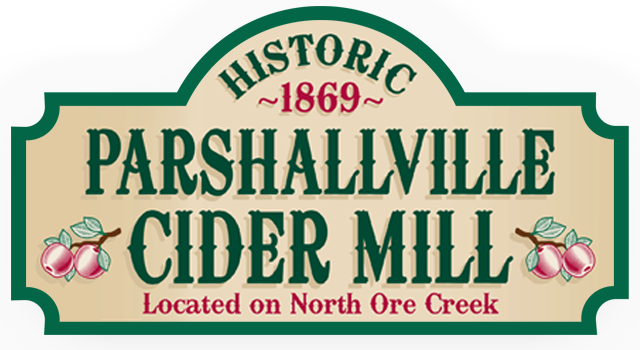 Parshallville Cider Mill takes great pride in the cider that is produced onsite and it can only be purchased at this location. 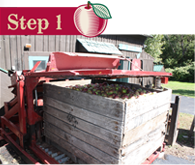 We make cider the old fashioned way, using an old fashioned hydraulic rack and cloth press to produce that fabulous fall treat- Apple Cider. We use a quality blend of sweet and sour apples to produce the best tasting cider possible. Every press we make will have a slightly different taste, based on the variety of apples that is ready to be picked and available at that time. Our cider is not pasteurized and should be refrigerated after purchase.